Tracker and Rowdy, great friends! 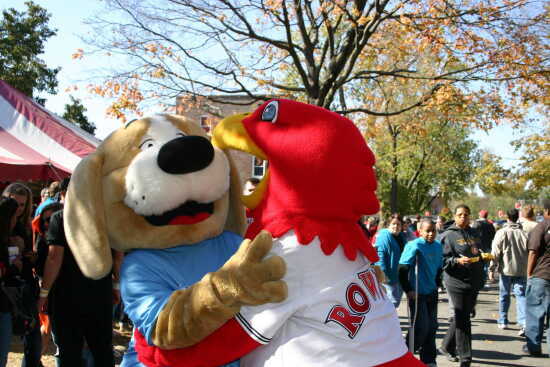 Tracker and Rowdy hanging out at the Homecoming game on Saturday. Looks like Rowdy's gonna come back with a piece of Tracker's ear. Great pic.